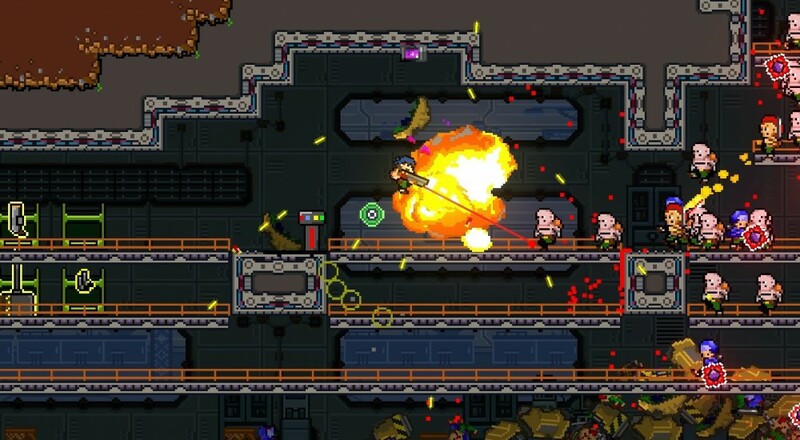 The chaotic bullet-hell platform shooter Gunnihilation has been in Steam Early Access for about a month now, and developer Robo Pixel Games has been listening to the community and their feedback. Next week, the first big update to the title will hit on Halloween and bring with it some requested fixes, as well as some new content. The update is titled "Witches and Broomsticks" and will feature, appropriately enough, a "Halloween mission with three full acts, unique enemies, and a never-seen-before boss." This free update will also include a new survival level and a new weapon for the game. Gunnihilation is currently available via Steam Early Access for $14.99. It supports four player local co-op throughout the campaign. Page created in 0.7291 seconds.